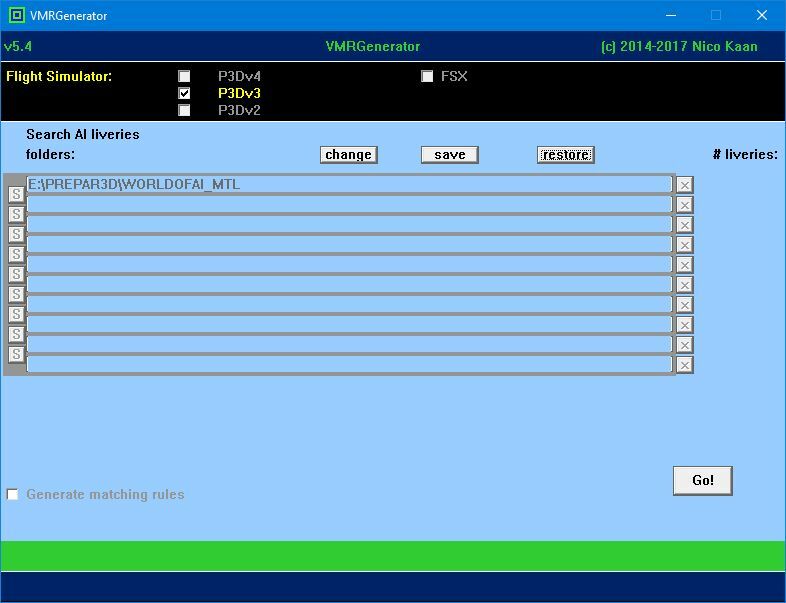 Prepar3D v4 is not recoginzed by VMR Generator 5.4. (grey) although the registry entry of Prepar3D v4 is present. Yes I know, it does not detect the registry entry yet. Will fix that in a few days while I am on holiday at the moment. Btw what a strange folder name are you using? Do you mean IVAO_MTL with _MTL? If so, that will not work. Nope! I just had IVAO_MTL installed before and changed the new folder name to the new WORLDOFAI content only.